A funny thing happened in 2014: Marketing Technology vendors all of a sudden became severely vocabulary-challenged. As a result, they started selling recommendations as predictions. Recommendations and predictions are both important. But they’re not the same thing. In our industry, a recommendation is what one person might like to buy (or read) based on what other similar people bought or read after having taken the same series of actions as the current visitor. A personalized recommendation is one based on that specific individual’s prior clickstream data and interests. Technology allows marketers to know certain things about a customer’s recent engagement with a brand, and therefore, to recommend another product or page for that customer. Amazon was one of the first big merchants to do this widely; now the phrases, “You might also like…” and “Recommended for you…” are commonplace across the web. Predictive technology uses a single customer view to predict the action that an individual customer is most likely to take next – at scale. 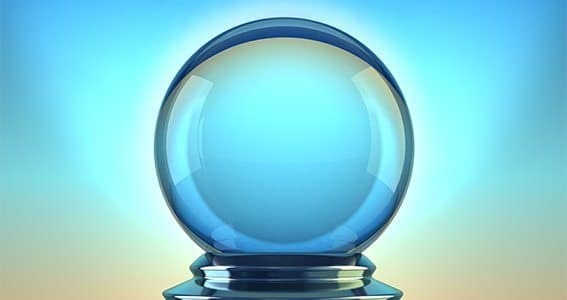 Predictions use algorithms to answer questions such as: Will you buy? How much will you spend? Will you opt out? Will you click? Will you read? An ecommerce marketer, for example, could use predictive technology to learn that a particular customer has only a 1% chance of making a purchase during the next seven days, while another customer might have a 10% chance of making a purchase during that same time frame. Those two customers might also have radically different predicted average order values for those purchases. A predictive technology, working on a true omnichannel platform, would show the two customers completely different options tailored to the actions each one is most likely to take. The net effect is to dramatically increase the likelihood that each will make a purchase. A media company might use this same technology to better understand which readers are most likely to open an email, and how many page views each of those readers is likely to generate. For media companies looking to increase page views – in other words, just about every media company – this is crucial information. In 2015, marketers will come to fully understand the differences between recommendations and predictions, and the opportunities offered by each tactic. By combining predictions with recommendations, marketers will be an important step closer to understanding, and capitalizing on, the unique capabilities of omnichannel marketing and to being able to change how they engage with their customers every day to optimize lifetime value.